Cats, cars and capers aplenty in this dynamic story book from celebrated new talent Mike Yamada. Fiction. I like that the dog & the cat are ride to each other. I would recommend. I enjoyed reading the book because it was all about racing.Ifelt it was a sports day in my school.I did not like Cool Cat and Top Dog playing tricks on each other to win a race.The worst part was "Pooper Shooter" Yacks!OOOVacks!!! I learnt from the story that when we work as a team we can win each and every game.It was a lovely story. The story tells us how cool cat and top dog wins the race which they had almost lost. It has colorful pictures. Other children should read this book because , they will find many interesting hiding places, and they will find interesting names of the pets, and cool techniques. I like the pets competitiveness in the race and eventually how they worked together to win the prize!! amazing read! I like this book because its about fighting, laugh and being together. I liked thus as the animals had lots of fun. It is funny for children because the cool cat and the top dog fight because cool cat wanted to win. 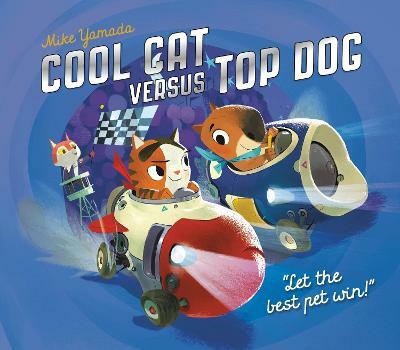 This book is about Cool cat and top dog who are in a car race to see who wins. They really don't like each other. Cool cat always cheats. But when there cats go smash they build one together . when they get to know each other they love each other. They cross the line t... find out what happens in the book. I recommend it for age 4 to 7.